WHAT IS A LOAN SERVICER? | Del Toro Loan Servicing Inc.
A loan servicer is a company that is licensed and bonded and experienced in handling private lending transactions. A good loan servicing company, such as Del Toro Loan Servicing, Inc., will collect monthly payments, will enforce the timing requirements of the payments, will notify the lender and the borrower when a payment is late, and will provide answers to many questions that a borrower might have regarding his/her note. A good loan servicing company will also maintain any necessary impound accounts, handle any necessary filings, ensure that the borrower and lender are in regulatory compliance with all of their necessary filings, and ensure that the transaction is handled professionally, and with integrity. A good loan servicing company will also try to work with borrowers and lenders to assist in restructuring certain provisions of a loan in the event the borrower encounters financial difficulties. It is critical that the borrower and lender stay in contact with the loan servicing company, advise them of any difficulties in a timely fashion, and keep the Loan Servicing company apprised of any changes in critical information such as change of address, contact information, sale of the Note to a third party, or any attempt to assign the borrower’s obligations pursuant to the Note to a third party. 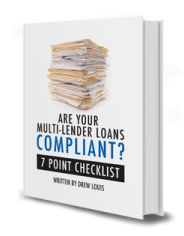 A Loan Servicer cannot and will not provide legal advice.